The purpose of this review of Isagenix Brain Boost & Renewal is to provide a comprehensive analysis of the product and help the customers make an informed decision. This remedy is advertised as being perfect for achieving restful sleep as well as enhancing brain function. The treatment comes as a package deal: a dietary supplement and a spray, the first one responsible with improving concentration, memory and decision making abilities, while the second one is responsible for providing a restful sleep which helps brain cells regenerate faster. Keep on reading to find more about these products and to also learn what we think about them. The supplement also contains tricalcium phosphate, vegetable capsule, silicon dioxide and magnesium stearate. The Brain Boost & Renewal remedy comes in the form of capsules which are recommended to be taken three times a day. Customers should take one capsule in the morning, one in the afternoon and the last one in the evening. However, when it came to the spray formula, the instructions seemed to have failed us. The label only says that three sprays need to be administered, but not where and how many times per day. Surprising as it may seem, after intensive research, we were unable to find out just how much these products cost. It is clear to us that they are supposed to work together and are a package deal, but it would be nice if the customers could also know how much one package is, in order to avoid unpleasant surprises. This product has no guarantee, or at least it doesn’t have one mentioned on the official product site. In other words, unsatisfied customers can not get refunds for an ineffective remedy. The surprising fact about this treatment is that it does have some reviews and, most importantly, all of them are positive. Too good to be true? Yes, we think so too! In the end, Brain Boost & Renewal is great because it has two formulas that are supposed to work together in solving your problem. The all natural ingredients are also a very positive aspect. Sadly, given the instructions, which were unclear and the lack of a guarantee, not to mention the lack of a price, we have concluded that you might be able to find other better-suited remedies. 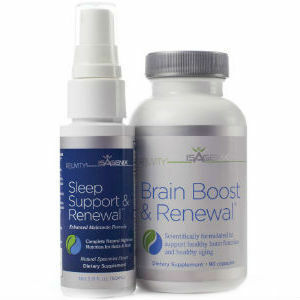 Henry Costa	reviewed Isagenix Brain Boost & Renewal	on November 15th	 and gave it a rating of 3.